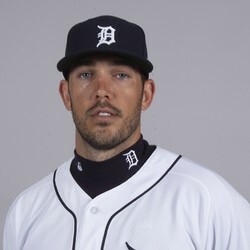 Drew VerHagen was called up from Triple-A Toledo to make the first start of a double header against the Yankees on Monday. He allowed seven runs on seven hits, including three home runs, over 3 2/3 innings. VerHagen was tabbed for a start against Yankees ace Luis Severino since both Jordan Zimmerman and Francisco Liriano are on the disabled list for Detroit. He has no fantasy relevance at this time.